THE FIRSTBORN, THE PRIESTHOOD, AND THE LEVITES. Shalom. Our teaching this morning will come from Exodus 34.19-20. And we have a title for this morning’s message, The Firstborn, The Priesthood, and The Levites. EXODUS 34.19 All that open the womb, GOD says, are Mine. Thus, all the firstborn of Israel, that is all the firstborn of the Jewish People belong to GOD. Also, all the firstborn of the cattle of Israel belong to The LORD. The Hebrew for cattle is MEEK’NEH meaning cattle and all livestock which are the other farm animals, including the ox, the bull, the cow, and the sheep that are male belong to The LORD. However we will only address the rewards that are given to the firstborn of the Jewish People. EXODUS 34.20 All the firstborn of your sons you shall redeem. The Hebrew for redeem is PAH’DAHR meaning to buy back. So GOD’s Word which is Torah, meaning GOD’s Law, His Instructions, and Teachings state that every firstborn Jewish male and female belong to The LORD GOD. They are His. And every firstborn Jewish male must be redeemed, bought back. GOD has Hallowed to Himself, that is GOD has made all the firstborn of Israel Holy to Himself from the day He killed all the firstborn Egyptians persuading Pharaoh to free the Children of Israel at the Exodus. The Hebrew for Hallowed is KAH’DAHSH meaning Holy, and Sanctified, and Consecrated to be dedicated, and devoted to The LORD to serve Him. Unfortunately, too many Jewish fathers, including myself, fail to tell our firstborn of this blessing. Perhaps most of us were, or are not aware of the blessing. And when and if we do tell our child of this great reward, too often it’s rejected. But not always. Being Holy to The LORD is a huge gift, but a very serious calling because GOD is Holy. And it is The LORD GOD Who makes us Holy. The Tabernacle, and the first and second Temples were Holy. And the millennial Temple will be Holy. The Sabbath is Holy. If the children of Israel will obey the Voice of The LORD their GOD, and keep His Covenant, that is His Word and His Law of Moses, they too will be a Holy Nation. And all the firstborn of Israel are Holy, and belong to GOD. It is a gift of GOD. Verse 23 would be correct if it read, “Every male and female that opens the womb shall be called Holy to The LORD”. Yeshua was the Firstborn. Numbers 3.13, Exodus 34.19. Today, without a Temple or sacrifice, Jewish women, mostly Orthodox, immerse themselves in a mikveh to observe the purification rite. Let’s address the redemption of the firstborn Jewish sons according to Torah, GOD’s Law of Moses. For whom He did foreknow, that is, whom GOD knew before The Creation, He also did predestinate. He also determined in advance before The Creation to be conformed to the image of His Son. That is to be similar in the qualities of Messiah Yeshua in love, and obedience to GOD, to be like Messiah. That we, you and I might be the firstborn among many brethren. Thus Paul’s teaching is that GOD knew us before The Creation for deliverance and salvation. He also determined in advance before The Creation that we would be like Messiah Yeshua in love and obedience to GOD. Obeying Torah, The Law of Moses as Yeshua did, and does, so that we, Jewish and non-Jewish People will be the firstborn among many brethren. So with that said, let’s read NUMBERS 3.11&12 AND VERSE 13. The Levites are the priestly tribe. They minister to The High Priest to carry out all the duties of the Congregation of Israel pertaining to The Tabernacle and The Temple. The High Priest and The Priest were responsible to safeguard everything according to GOD’s instructions pertaining to The Tabernacle and The Temple. All the men from The Tribe of Levi were to minister to The High Priest. That is to attend to him. And they were responsible for the duties and work of The Tabernacle and The Temple. rnacle. A stranger was not allowed to come near The High Priest. EXODUS 28.29-30 The High Priest’s clothing contained the Urim and Thummim inside his breastplate. The Urim and Thummim were for obtaining GOD’s decisions on important questions in which human judgment was found to be inadequate such as military action, allocations of land, legal verdicts in the absence of evidence, and the choice of leaders. But without a Temple in Jerusalem, and there has been no Temple for 2,000 years since the Romans destroyed it in 70 C.E., there is no Priesthood. And there is no High Priest. But Psalm 110.4 reads, “The LORD has sworn and will not change His Mind. You are a Priest forever after the order of Melchizedek. Melchizedek is Priest of The Most High GOD. He has no beginning or end. And Melchizedek is and was Yeshua The Messiah. He is Elohim. He is GOD. And He is The High Priest, and will continue to be The High Priest forever as Psalm 110.4 reads. And like the firstborn of the Jewish People who are Holy to The LORD GOD, and belong to The LORD, we too are Holy to The LORD and also belong to The LORD because we are like Messiah in love and obedience to GOD. We are obedient to His Torah, The Law of Moses. And being fully obedient to Torah, requires receiving Messiah Yeshua and believing in Him for atonement of your sins. Believing that He is GOD ALMIGHTY, The Promised Jewish Messiah. You then have atonement for your sins, you are the firstborn of many being HOLY. And you belong to GOD, and you are redeemed. Those are the instructions and teachings of GOD for Jewish People, and non-Jewish People to be found written in GOD’s Book of Life that results in Everlasting Life in Heaven. Believing in Messiah Yeshua for atonement of your sins. (Sin is being disobedient to GOD’s Law of Moses). Then being obedient to all GOD’s Laws that are written in the Law of Moses. And that also is a Gift of GOD. Posted on May 25, 2014 March 24, 2015 Categories Shabbat Message3 Comments on THE FIRSTBORN, THE PRIESTHOOD, AND THE LEVITES. WHY THE NEW TESTAMENT AND THE MESSIAH YESHUA ARE PART OF THE TORAH, THE LAW OF MOSES. Shalom. We have been teaching The Torah, which is The Law of Moses, for quite some time now. The Torah is written in the first five Books of The Bible that contain all GOD’S Laws for everyone. We started at Genesis 1, Verse 1 with the Words that GOD told Moses that read, “In the beginning GOD created the heavens and the earth”, to where we are presently in Exodus 34 where GOD called Moses up to Mt. Sinai to present himself to The LORD GOD. This was Moses’ third trip up the mountain to meet with GOD. And GOD wrote the Ten Commandments on two tables of stone a second time because Moses broke the original tablets in furious anger when he saw the golden calf the Children of Israel had made. And on the mountain this third time, GOD gave Moses added insight and knowledge of Himself, The LORD GOD, and more understanding, wisdom and instructions for Israel and all mankind to live by, for our good. Please pay attention to this; The Torah, GOD’S Laws, Instructions and Teachings that are written in The Law of Moses, INCLUDES The New Testament, or better translated, The New Covenant. And The Messiah Yeshua is the New Covenant. That together with all GOD’S Laws that Moses wrote in The Law of Moses, are part of The Torah. The New Covenant is Law. The New Covenant is Torah. And The New Covenant is an essential part of Torah, The Law of Moses. Thus the New Testament and The Messiah Yeshua are fully part of The Torah, The Law of Moses. And this is of great importance to those who claim Messiah, and certainly of great importance to Jewish People. Thus the Title of our teaching this morning is; “Why The New Testament and The Messiah Yeshua are part of The Torah, The Law of Moses”. As we customarily do to begin our studies, we use a Scripture Verse, or Scripture Verses, and our study grows from those Words. Our Scripture Verses this morning are Matthew 4.3-4 and 1 Peter 1.23. In Matthew 4.4, Yeshua The Messiah Who is GOD Almighty, told satan, “It is written, man shall not live by bread alone, but by every Word that proceeds out of the Mouth of GOD”. Those Words Messiah spoke were first written in The Torah in Deuteronomy 8.3. In 1 Peter 1.23, Peter, a nice Jewish boy, teaches us that The Word of GOD lives forever, and continues and remains forever. That is, GOD’S Word and His Laws written in The Law of Moses never change, nor do they end. There are numerous reasons The New Testament, or better translated, The New Covenant is an essential part of The Torah, The Law of Moses. The New Testament focuses first and foremost on The Jewish Messiah Yeshua Who is ELOHIM YEHOVAH, The LORD OUR GOD. As a point of information, ELOHIM and YEHOVAH, the Hebrew for GOD and LORD, are written just in The Torah alone, the first five Books of The Bible some 2,667 times. The point being made here is that the teachings of The LORD GOD that are taught in The New Testament are the Very Same teachings that GOD teaches in The Torah, The Law of Moses. Thus Yeshua The Messiah, Who is The LORD OUR GOD, YEHOVAH ELOHIM, is certainly part of The Torah. Thus The New Testament is not only Law, it is part of Torah, The Law of Moses. As is The Messiah Yeshua. He is part of the Torah. You might say, He is the Torah. The New Testament, or The New Covenant is about atonement, the forgiveness of our sins, and reconciliation with GOD by the death and shed blood of the Jewish Messiah Yeshua as a human being. Certainly, The New Testament is also filled with important teachings that all line up with Torah, The Law of Moses. Again see Matthew 4.4. We are to live by every Word of GOD. Atonement originated in The Torah with daily animal sacrifices, Numbers 28.1-4 by which forgiveness of sins was accepted by GOD. But because of the destruction of the Temple in 70 C.E. by the Romans, the animal sacrifice ended. LEVITICUS 17.8-9. But some 37 years before the Romans destroyed the Temple, GOD made Yeshua’s Soul an offering for sin, Isaiah 53.10. Messiah’s Atonement is available to everyone on GOD’s terms. Obedience to His Torah, His Law of Moses, and faith in His Messiah Yeshua for atonement, the forgiveness of your sins. Jews have been persecuted, tortured, and killed for centuries because we are often accused of killing Christ. I first heard those words, “Why did you kill Christ?” when I was about four or five years old, from an adult. Look, if the Jewish People did not hand over Messiah to the Romans to die on a Roman cross, there would be no Atonement. You would have no atonement. Yeshua had to die. That was his mission at His first coming. To give His Life for our atonement. Your atonement. GOD ordained it. That’s what Isaiah 52.13-15 and all of Isaiah 53 are about. Messiah’s brutal death that was a sacrifice, where GOD made His Soul an offering for sin was for the transgression of GOD’S People. Messiah’s Atonement is very much part of Torah because GOD’S method for Atonement originates in Torah, and is taught in Torah. And Messiah Yeshua is our Atonement as the LORD GOD prophesied and ordained. That was the primary purpose of Messiah’s first coming 2,000 years ago, to be our Atonement. Thus The Messiah Yeshua is part of The Torah. Also GOD’s promise of the coming of The Jewish Messiah is first prophesied in The Torah hundreds of times, and fulfilled in Yeshua The Messiah in The New Testament or The New Covenant. Jacob’s prophesy of the coming of Messiah as a human being, seeing that Messiah is GOD, foretells that Messiah would be born at a time when the scepter, or Israel’s self-rule of its own country, the Land of Israel, would be taken from them. The Romans were the lawgiver at the time of Messiah’s coming. And that would be the time Shiloh, another title for Messiah, would be born. And Messiah must come from the tribe of Judah. That would be His first coming 2,000 years ago. All fulfilled in Messiah Yeshua as taught in The New Testament, a Jewish Book written by Jewish People. At Messiah’s second coming, the prophesy continues, He will be King over all the earth, Zechariah 14.9, and all peoples will gather to Him, and submit to Him. And that also is fulfilled in Messiah Yeshua as taught in The New Testament, Revelation 19-22. Again, making The New Testament part of The Torah, The Law of Moses. GENESIS 49.18 And Jacob said, “I have waited for Your Salvation O LORD. In the Hebrew; LE’YEHSHUAT’KHA KE’VE’TE YEHOVAH. FOR YOUR SALVATION I HAVE WAITED O LORD. Yeshua is your Salvation and the Deliverer of your sins. And Yeshua is The Messiah, The LORD GOD ALMIGHTY. The LORD your GOD, Moses said, will raise up a Prophet from the Jewish people Who will be like Moses. And you shall obey Him. The Words He will speak are the Words that will come directly from GOD. And those who will not obey Him, the Words He will speak in The Name of The LORD, GOD will call that person to account. That is GOD will hold that person accountable for their sin in disobeying GOD. This prophesy that Messiah Yeshua will be like Moses is of huge importance for Salvation. In many ways Yeshua and Moses are similar. Both are Jewish. They performed miracles. Moses introduced the sacrifice for atonement. Yeshua is The Sacrifice for Atonement. Moses spoke to GOD. Yeshua is GOD, ELOHIM. And both are prophets, great prophets. And for our Salvation, we must understand that both taught The Law of Moses. But the Jesus Christ taught today is absolutely UNLIKE Moses. Moses received The Law from GOD and taught it. And the Jesus of The Bible also taught The Law of Moses. Yeshua The Messiah must be like Moses, and He was and is. Here are some Scriptures that testify that Messiah taught the Truth of GOD, GOD’S Word, His Law, His Commandments, and His Instructions which are all Torah, The Law of Moses. Yeshua taught GOD’S Torah in The New Testament. He taught The Law of Moses. But so few are taught that by their teachers. The New Testament is Law, it is Torah, and The New Testament is very much part of The Law of Moses. The New Testament teachings that you are taught must line up with the Teachings of Torah, The Law of Moses, or you are not being taught the truth. I know that most Christian Bibles write and teach that Messiah fulfilled The Law and The Prophets. But rather than fulfill, Messiah came to Complete The Law and The Prophets. And yes, He did fulfill the Law and the Prophets by His Atoning Death. But He never ended the Law. That is Christian fiction. The word fulfill in Greek is PLAYROO, meaning To Be Complete. Thus a better translation for this Scripture is, Messiah did not come to destroy The Law or The Prophets, He came to Complete The Law and The Prophets. Messiah’s more excellent ministry is that He is our Atonement. And He is the Mediator or the Reconciler between GOD and us of a better Covenant. That better Covenant is The New Covenant that makes Atonement for us, for it is the blood that makes atonement for the soul. LEVITICUS 17.11. And here is where the writer teaches that The New Testament, or The New Covenant belongs to GOD’S Torah, His Law of Moses. Messiah Yeshua is the Mediator of a better Covenant which was established upon better promises. The word established comes from the Greek NOMOTHETEO meaning to legislate. Legislate means to make or enact laws. Thus The New Covenant, or The New Testament is enacted into Law, GOD’S Law. And The New Testament, that is The New Covenant belongs with GOD’s Law, His Torah which is The Law of Moses. Some of the better promises of The New Covenant, and the New Covenant is The Messiah Yeshua, are found in The New Covenant that GOD gave to the Jewish people in JEREMIAH 31.31-34. JEREMIAH 31.31 GOD prophesied and made His New Covenant with the Jewish People some 700 years before Messiah. JEREMIAH 31.33 When you receive GOD’S New Covenant, The Messiah Yeshua, GOD put’s His Law in your inward parts, and writes it in your hearts, and He will be your GOD, and you shall be His people. For non-Jewish people, and Jewish people, when you receive The New Covenant, Messiah Yeshua, for the Atonement of your sins, GOD put His Law of Moses in your inward parts, and wrote it in your hearts, To Obey It. And GOD will be your GOD, and you will be His People when you do it GOD’s Way, believing in The New Covenant, Messiah Yeshua, and being Obedient to His Torah, The Law of Moses. Remember, Yeshua The Messiah is like Moses. That is a very important teaching for your Salvation. Moses never ended the Law, he gave us the Law. So why is The New Testament which is The New Covenant part of Torah, GOD’S Law of Moses? Because everything taught in The New Testament is first taught in The Torah, GOD’S Law of Moses that is written in Genesis, Exodus, Leviticus, Numbers, and Deuteronomy. And GOD never changes, nor does His Word, His Law and His Commandments and Instructions ever change. And think about it. Messiah Yeshua is ELOHIM, and He is YEHOVAH. Messiah Yeshua is in The Torah. And if what you are taught, or doing does not agree with what GOD teaches in His Torah, His Law of Moses, then what you are being taught, and what you are doing is wrong, and not The Truth. Thus I suggest you read about repentance in Ezekiel 18.20-22. Posted on May 18, 2014 March 24, 2015 Categories Shabbat Message4 Comments on WHY THE NEW TESTAMENT AND THE MESSIAH YESHUA ARE PART OF THE TORAH, THE LAW OF MOSES. IS PASSOVER A JEWISH HOLIDAY, OR IS IT FOR EVERYONE? Shalom. Our teaching this morning from The Torah, The Law of Moses will come from Exodus 34.18. And we have a title for this morning’s message; Is Passover a Jewish Holiday, or is it for Everyone? This is the third time that Moses presented himself to The LORD at the top of Mt. Sinai. The first time The LORD gave Moses instructions to build the Tabernacle and its dimensions. And The LORD also gave Moses the Ten Commandments that The LORD GOD Himself wrote on two tables of stone. The second time Moses went up to GOD in Mt. Sinai, he asked The LORD to forgive the Children of Israel for their great sin in making the golden calf. If you will not forgive their sin, Moses said, blot me out of your Book of Life. But GOD answered, “Whosoever has sinned against Me, him will I blot out of My Book”. The third time Moses went up to the top of Mt. Sinai to present himself to The LORD, GOD called him up in the morning. The LORD said, Carve two tables of stone like the first, and I will write on them the Ten Commandments, the Words that were in the first two tables that you broke. And this is the point in time of our study of Torah where GOD again speaking Face to face with Moses on the top of the mountain gave Moses added knowledge of The LORD GOD, and Commandments and Laws that are all written in Torah, The Law of Moses. Passover is a Law, a Commanded Festival of GOD. EXODUS 34.18 In Hebrew, The Feast of Unleavened Bread is KHAG HA’MATZOT. Verbatim, The Feast of Matzah that GOD calls Passover. As you well know, Passover originated at the Exodus when The LORD GOD led the children of Israel out of Egypt by the leadership of Moses after 430 years living in Egypt. The last 400 years in slavery. As a point of great importance, when Gentiles join in with the Jewish people who are GOD’s Chosen People, as they did in the Exodus, GOD requires that you keep the One Law that The LORD has given to Israel. That is, you must keep The Law of Moses which is The Torah. And by keeping the One Law that GOD has given the Jewish People for all mankind, as Paul teaches in The New Testament, You are adopted by GOD, you become fully part of GOD’s Chosen People, The Jewish People. You receive GOD’s Glory, His Praise, and Honor, and all GOD’s Covenants. You receive GOD’s Torah, The Law of Moses. And you correctly observe the Temple Service, the Service of GOD. And you receive all GOD’s promises. You join in fully with the Jewish People, GOD’s Chosen People, the descendants of the fathers, Abraham, Isaac, and Jacob. And you have Correctly Received The Messiah Yeshua according to The Word of GOD taught in the Bible. That is GOD’s blueprint for atonement and eternal life in Heaven with The LORD your GOD, Yeshua The Messiah, The Holy One of Israel. That is precisely why Yeshua said, Salvation comes from the Jews. GOD’s Passover, His Feast of Matzah, or His Feast of Unleavened Bread is a seven day Holiday, a seven day Feast. During the seven days of Passover, we are commanded by GOD The LORD to eat matzah, which is unleavened bread. Leaven of any kind is not to be seen in our houses, and certainly not eaten during the seven day Feast. Feast in Hebrew as in The Feast of Unleavened Bread is KHAG meaning Festival. A festival is a celebration, an anniversary that is joyous, festive and happy. Why should we be joyous, festive and happy on Passover? Because on the first Passover, The LORD GOD freed the Jewish people from Egyptian slavery, He destroyed the entire Egyptian army that was determined to kill the Jewish people. And GOD brought us into the Promised Land, the Land of Canaan that GOD renamed Israel. And GOD chose His Jewish People to be HIS WITNESSES to know and believe GOD, and understand that GOD is GOD, and before Him was no GOD formed, neither will there be after Him. The Bible, written by Jewish People reveals all that GOD has revealed to us. As Deuteronomy 29.29 reads. The secret things belong to the LORD our GOD; but those things which are revealed belong unto us and to our children forever, that we should do all the Words of this Law. And from the Jewish People came The Messiah Yeshua as a human being whom the world knows as Jesus. So yes, Israel and the Jewish People are a blessing to the nations. Why? Because those who bless the Jewish People, GOD blesses. And those who curse the Jewish People, GOD curses. And all the families of the earth are blessed in the Jewish People because of the Jewish Messiah Yeshua, and the Word of GOD that the LORD has given to the Jewish People that includes His Laws and Commandments to lead a Holy, Lawful and Righteous life in the Presence of the LORD their GOD. But so few know that. 1400 years after the Exodus, The GOD of Creation in The Person of The Jewish Messiah Yeshua, gave His Life on a Roman cross in Jerusalem to be our Atonement. Thus, by keeping GOD’s Torah, His Law of Moses, and Faith in The Jewish Messiah Yeshua, we have everlasting Life in Heaven. That is why Passover is a celebration, a time of joy and happiness. Also, the Hebrew for Feast, as in The Feast of Unleavened Bread means a sacrifice, and a memorial of the Passover lambs whose blood was struck on the Jewish doorposts in Egypt that was a sign for GOD to pass over the People and not kill the firstborn. Exodus 12.13. Certainly GOD knew where every Jewish person lived because no one can hide from GOD, for GOD fills Heaven and earth. Jeremiah 23.24. But putting the blood on their doorposts was a Command of GOD. If they did not obey GOD’s Command, the Jewish firstborn would have been killed as were the firstborn of the Egyptians. It appears that all the children of Israel obeyed GOD, and lived. Nehemiah and Esther were written about the same time, 450 B.C.E. Passover is not a Jewish holiday. It is a Festival of The LORD. Passover is to be observed by everyone, Jewish and non-Jewish People. I know that most, if not all Christian Bibles teach in The New Testament that Passover is a Jewish feast, or a Jewish holiday, but that is wrong, and a contradiction of GOD’s own Word. Passover is a Feast of The LORD and should be kept by everybody, and it is a Statute forever. Also of key importance is that ALL GOD’s festivals written in Leviticus 23 are Festivals and Holidays for everyone, for all mankind to observe, because they are Feasts of the LORD. They are; The Sabbath on Saturday, the seventh day of the week, Passover, Pentecost, The Memorial of blowing of shofars that Judaism calls Rosh HaShannah, Yom Kippur, the Day of Atonement, and Tabernacles. These are The Feasts of the LORD. LEVITICUS 23.1-2. And you should read LEVITICUS 23 for a better understanding. At Messiah’s last Passover Seder that Christianity calls the last supper, on the night before He was put to death on the first day of Passover, Messiah established The New Covenant of Jeremiah 31.31-34 that was given to the Jewish People for all mankind for the forgiveness of our sins. Messiah’s death and shed blood is our atonement. That was the reason Messiah had to die. To be our Atonement. To deliver us from all our sins. Thus it is exceedingly important to understand that Messiah’s atoning death Does Not Free Us From Obeying GOD’s Law of Moses as most have been taught. But now that GOD has forgiven you all your sins through Messiah Yeshua, The LORD your GOD Requires you to obey All GOD’s Laws that are written in The Law of Moses. That is why Messiah said, “Salvation comes from the Jews”. John 4.22, Leviticus 17.11, Isaiah 53, etc. Most Covenants of GOD were established by blood, just as Messiah’s shed blood established The New Covenant as Law for the forgiveness of our sins. Messiah’s shed blood established The New Covenant as Torah, fully part of The Law of Moses. Receiving Messiah Yeshua is being Torah-observant. VERSE 7 The Book of The Covenant is GOD’s Word that includes His Laws and Commandments. 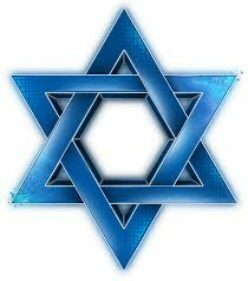 The Abrahamic Covenant was established by blood that includes GOD giving the Jewish People the Land of Israel as our homeland forever. That GOD is our GOD, and we are His People, and so much more. GENESIS 12.1-3, GENESIS 15.17-21, GENESIS 17.7-8, etc. The Romans destroyed The Temple in Jerusalem in 70 C.E. That ended the animal sacrifice for atonement. But GOD did not leave His People without a sacrifice for atonement. Around 33 C.E., some 37 years before The Temple was destroyed, GOD Himself, The GOD of Jacob Who was and is Messiah Yeshua, gave His Own Life as a human being to be our Atonement. How perfect an Atonement is that? And that is Biblical Tnakh prophesy fulfilled in The Messiah Yeshua. Even though we don’t deserve it, GOD’s love is beyond human comprehension. Isaiah 53, Psalm 22, Psalm 16.10, etc., etc., etc. VERSE 6 GOD’s Covenant is His Word and Law of Moses. See Psalm 105.8-10. But GOD is a merciful GOD Who forgives your transgressions. He is Yeshua The Messiah. But you must receive Him, and do as the entire Bible teaches; Walk in His Ways, and Obey His Torah, His Law of Moses. And you will have Atonement for your sins, and Eternal Life in Heaven. So, in answer to our question, is Passover a Jewish holiday, or is it for everybody? Passover is for everybody, for all mankind because Passover is a Feast of The LORD GOD of Creation. And His Name is Yeshua, and His title is Messiah. Posted on May 11, 2014 March 24, 2015 Categories Shabbat Message1 Comment on IS PASSOVER A JEWISH HOLIDAY, OR IS IT FOR EVERYONE? DO YOU HAVE IDOLS IN YOUR HOUSE? Shalom. Our teaching this morning will be from Exodus 34.13-17. But first we will start with Verses 11 and 12. And we have a title for this morning’s message; Do You Have Idols in Your House? The wonderful thing about studying The Bible line upon line, Law upon Law, and Commandment upon Commandment is that we not only learn GOD’s written Word, we also learn GOD’s Laws and Commandments and what He requires of us. That is to fear The LORD our GOD, to walk in all His Ways, and love Him, and serve The LORD our GOD with all our heart, and with all our soul. To keep the Commandments of The LORD, and His Statutes which He commands us, for our good. For The Heaven, and The Heaven of heavens is The LORD’s our GOD. The earth also with all that is in it. For no one can hide himself in secret places that GOD shall not see him. For GOD fills Heaven and earth. GOD’s authority reigns forever. And GOD has shown the Children of Israel that The LORD, He is GOD. There is none else beside Him. GOD chose the Jewish People to be His witnesses to reveal this huge and important teaching through The Bible that was written by Jewish people, that there is only ONE GOD, and beside Him, there is no Savior. And GOD chose the Jewish People to be His witnesses to reveal to the world through The Bible from Genesis through Revelation that man shall therefore keep GOD’S Statutes and Commandments which He Commands us that it will go well with you and with your children after you, and that you will prolong your days upon the earth which The LORD your GOD gives you forever. All GOD’s Laws and Commandments are written in The Law of Moses. However, GOD’S Laws and Commandments are often referred to in the Scriptures as the Law. And Judaism knows the Law as the Torah, GOD’S Laws, Instructions and Teachings. And Yeshua the Messiah is GOD ALMIGHTY. GOD’S Word never changes. It stands forever. And GOD’S Laws, Teachings and Instructions never change. Nor does GOD change. GOD is the same yesterday, today, and forever. And Elohim, GOD The Lawgiver to the Jewish People and to the nations is Yeshua The Messiah, Who as a human being, also FATHER GOD, was born from a virgin, a young Jewish lady by the name of Miriam, from the House of David. Messiah was born in Bethlehem of Judah, Who will be Ruler in Israel. He has no beginning, and no end. He is from everlasting to everlasting. Messiah Yeshua is GOD Almighty, Elohim, The Holy One of Israel. As prophesied by the prophet Isaiah, Messiah Yeshua is The Child born to the Jewish People, the Son given to the Jewish People. Upon His Shoulder shall all power and authority be given over all the earth at His Return. Messiah’s Name is called Wonderful, Counselor, Mighty GOD, Everlasting Father, Prince of Peace. He is The Promised Jewish Messiah Who has come to the Jewish People and to all the world to be our atonement, to deliver us from all our sins. He is Yeshua The Messiah, The GOD of Israel Whom many Jewish people call Hashem. And when Messiah Yeshua rules over all the earth from Jerusalem, peace shall reign forever. He will sit upon the throne of David, and His Kingdom will forever live by GOD’S Laws in justice and righteousness. The zeal of The LORD of Hosts will perform this. The foundation of GOD’s teaching for all mankind is found in Deuteronomy 6.4, and Mark 12.29 that reads, “Hear O Israel, The LORD our GOD, The LORD is one”. Meaning all mankind should hear what GOD speaks in The Scriptures. Listen intelligently to what He says, “And live by every Word that proceeds out of His Mouth”. And know that there is only ONE GOD. That you may live, and The LORD YOUR GOD will set you on high above all the nations of the earth, and all His blessings will come upon you in abundance. For GOD is your life, and serving Him, and obeying Him is the purpose of your life. Avoid idols. That is the Commandment of GOD. Avoid sin. Sin is breaking GOD’S Laws that are written in The Law of Moses. 1 John 3.4. For the whole world lies in ungodliness. Deuteronomy 4.35-40, Deuteronomy 6.4, Deuteronomy 8.3, Deuteronomy 28, Deuteronomy 30.20, Isaiah 7.13-14, Isaiah 9.6-7, (Hebrew Bible, Isaiah 9.5-6), Isaiah 28.10, Isaiah 40.8, Isaiah 43.10-11, Jeremiah 23.24, Micah 5.2, (Hebrew Bible, Micah 5.1), Zechariah 14.9, Malachi 3.6, Matthew 4.4, Mark 12.29, Hebrews 13.8, 1 Peter 1.23-25, 1 John 3.4, 1 John 5.3, 19-21. GOD gave these Commandments and Laws to Moses the third time he went up to Mt. Sinai to present himself to The LORD GOD of Creation. And GOD’s Commandments and Laws are for all mankind to do. They are written in The Law of Moses in the first five Books of The Bible. As a point of interest, sin is taught in The Bible 414 times. 307 times in The Tnakh, The Old Testament Scriptures, and 107 times in The New Testament Scriptures. Paul writes in Romans 6.23, “For the wages of sin is death”. But by the Atonement of Messiah Yeshua, we are delivered from all our sins, and by serving GOD, and obeying all His Laws that are written in The Law of Moses, we have the gift of eternal life through The Messiah Yeshua. And that is Biblical teaching. Sin started in the garden of Eden when the serpent satan tricked Adam and Eve into disobeying GOD. And the same serpent satan continues to trick most people today into disobedience to GOD by deceiving them into disobeying GOD’S Laws that are written in The Law of Moses. satan has a huge following. And idols are sin. They violate GOD’S Law. GOD gave this Law prohibiting idols to the Jewish people when they entered the land of Canaan 3,400 years ago. And this Law applies to all mankind. VERSE 20 Abstain, or refuse the pollutions of idols. Idols are statutes, pictures, paintings or anything that represents a god. VERSE 21 Moses, and The Law of Moses are taught in the Synagogues every Saturday on GOD’S Sabbath. James is saying here, the Gentiles who have turned to GOD through Messiah Yeshua should hear the teachings of The Law of Moses taught in the Synagogues, learn The Law, and do it, all of it. painted or drawn, or sculptured or otherwise made visible was to be destroyed at the Commandment of GOD. DEUTERONOMY 16.21-22. Grove in Hebrew is AH’SHAY’RAH which is a tree, or a group of trees, or wooden objects that were used as sacred trees, or sacred poles that the Canaanites regarded as their gods. Those objects are also called images. Idolatry is defined as the worship of physical and visual representations of gods, the work of man’s hands of wood and stone. Whether in statue form or in picture or painting forms. All are treated by GOD as synonymous with paganism. The various attempts by the Greeks and Romans to reintroduce their idols, and pagan cult of idolatry into Israel was met with physical opposition of the Jewish people. The use of statutes, and idols, and pictures and paintings of Christ is idolatrous. John teaches in The Bible, “Little children, keep yourselves from idols”. Keeping yourself from idols is GOD’S Commandment that is written in The Law of Moses to everybody throughout the world. 1 JOHN 5.21. Jealous in Hebrew is KAH’NAH meaning jealous. The Jewish Publication Society Bible (JPS) describes the Jealous GOD as an Impassioned GOD. GOD whose Name is Impassioned. 3,400 years later, after GOD gave His Laws to the Children of Israel, most Jewish People who come to faith in their Messiah Yeshua Who is The GOD of Creation, fall into the trap of being taught pagan doctrine. Most Jewish Believers in their Messiah Yeshua are taught to reject The Law of Moses in much of its entirety, and often are taught to reject the entire Law. That is pagan doctrine, a doctrine of vanities. We are also taught to believe in something called the trinity. A belief in three distinct and different gods of which Jesus, or Yeshua The Messiah is the second person, or the second god in the godhead of three or four different gods. That is also paganism. And by receiving such false doctrine, Jewish and non-Jewish people are deceived, and taught to go a-whoring after other gods who do not teach The Word of GOD, nor do they teach the Truth of GOD. They teach false doctrine, a doctrine of vanities. The teaching of GOD is simple. And it’s not difficult. 1 John 5.3. As Yeshua teaches in Mark 12.29, and Moses teaches in Deuteronomy 6.4, Hear what GOD speaks, and do it. There is only ONE GOD. But most Bible teachers will tell you that The Law of Moses is no longer in effect. That continues the lie of satan. Yes, these false teachers take counsel together against The LORD, and against His Messiah saying, “Let us break their bands asunder, and cast away their cords from us”. Simply said, most Bible teachers take counsel together to oppose GOD and His Teachings and Laws. They oppose GOD’S Laws, they break His everlasting Word, and change His Laws. Messiah Yeshua teaches that whosoever shall break one of GOD’S least Commandments, and shall teach men so, he shall be called the least in The Kingdom of Heaven. As a point of information, least in The Kingdom of Heaven is hell. hell is also part of The Kingdom of Heaven because GOD rules there also. So who will you listen to, or who will you believe? Your Bible teachers who oppose GOD’S Laws, or GOD? Turning from death to Life is not difficult. But it takes work. That work is turning from all your sins that you have committed by breaking GOD’S Laws and Statutes, and turning to GOD and living by all His Laws that are written in The Law of Moses. That is eternal Life through Messiah Yeshua. Molten gods are cast or sculptured, idols. You shall not make them, nor shall you own them. I often think on GOD’s blessings and curses that are taught in Deuteronomy 28. The great blessings for obeying GOD and His Laws that are written in The Law of Moses. And the many curses for not obeying GOD and His Laws written in The Law of Moses. Because Righteousness leads to eternal Life in Messiah Yeshua. Posted on May 4, 2014 March 24, 2015 Categories Shabbat Message13 Comments on DO YOU HAVE IDOLS IN YOUR HOUSE?